"Very well maintained building with modern playground on spacious grounds"
This large, fully broadloomed two bedroom plus den suite has a balcony and features individually controlled heating and air-conditioning. You’ll love the in-suite storage. Call us today at 416.495.8769 to book your showing! Our large, fully broadloomed suites have balconies, and individually controlled heating and air-conditioning! Modern freshly renovated Lobby and hallways, with beautifully maintained grounds. We have a playground for children, and are walking distance to many public schools, Bridlewood Mall and a short trip to Fairview Mall. 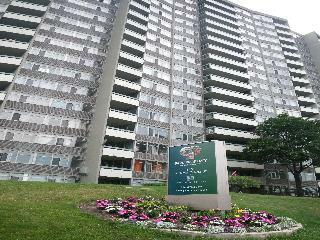 Steps from TTC bus stops, and easy access to the 401 and 404. You'll also love the in-suite storage.